Wedding venues in Northwest Indiana that have been in the business for some time wholeheartedly understand your desire to plan a memorable wedding. Everything from the location of the ceremony to the food menu must be what you want. But what about your wedding favors? You don’t have to match your wedding season with your favors, but it’s a unique way to say “thank you” to your guests. Is your wedding planned for sometime between late September and mid December? Have some fun incorporating an autumnal touch with your favors! Jam: If you’re a DIY person and know how to make jam, why not can your favorite seasonal jam and give it to your guests? Package it in pretty, reusable jars and wrap with rustic paper ribbons or jute twine. Caramel apples: Nothing suggests that it’s the fall season quite like caramel and apples on a stick (okay, everything pumpkin spice and cinnamon does, too). The thing about caramel apples is that you probably wouldn’t even give this possible wedding favor a second thought any other time of the year. Order them in individual packaging sealed with a gold, orange or burgundy ribbon—try matching the ribbon color with your wedding colors—and invite your guests to take one when they leave. Caramel popcorn: Looking for a wedding favor that’ll be a guaranteed hit? Send your guest home with a jar or bag of sweet aromatic caramel popcorn. Dress the packaging in decorative fall ribbons and fabrics. Custom cookbooks: Here’s a cute idea! Collect a few favorite family recipes from both your and your spouse’s families and have them printed into custom cookbooks for your guests to take home. Cookbooks can include recipes for year-round use, or be filled with nostalgic fall recipes to fit the season of your wedding. Scarves or wraps: Whether or not you remembered to suggest that your guests bring a sweater or jacket to your outdoor fall wedding ceremony, your wedding favors can be adorable scarves, wraps or throw blankets. Have them handed out at the ceremony or drape them over the chairs at the reception. Fall scented candles: Most everyone loves candles. For your wedding favors, select one or more popular fall scents in jars with lids—think apple cinnamon, toasted marshmallow, pumpkin spice, salted caramel and morning rain. Place some of your wedding favor candles on the tables at the reception and light them to offer a preview of what your guests get to take home. Planning a fall wedding? 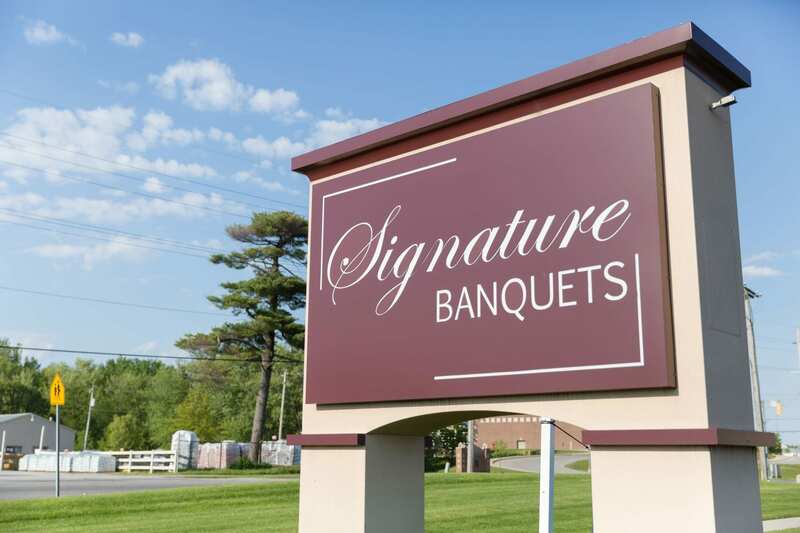 Signature Banquets is one of the area’s premier wedding venues in Northwest Indiana. Call us today!